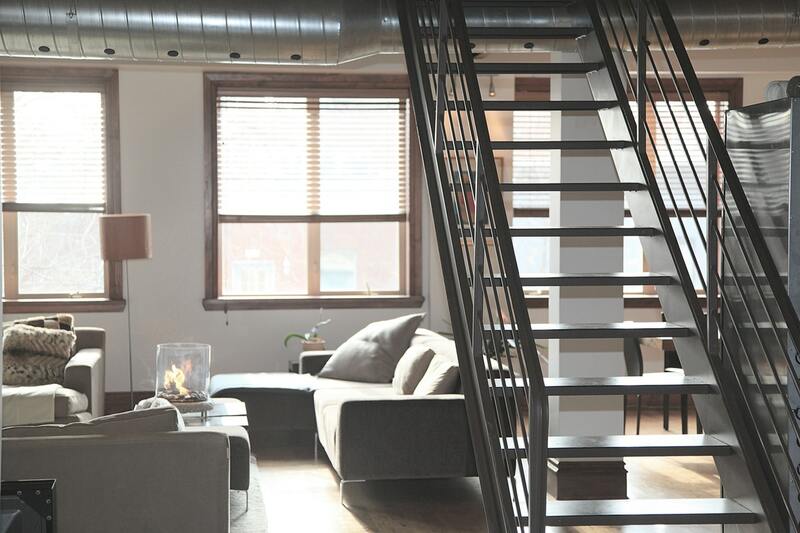 The term loft, or more precisely: “loft-style” isn’t one to sound glamorous, but its name can be ultimately deceiving. When you have a loft-style home, you’re taking on a defined style that’ll bring in the feel of brutalistic textures, industrial design and modernism to the place you could call your humble abode. A loft style home design doesn’t necessarily have to be dingy, dark or even situated in what would be the ‘loft’ of a building, it is more the vibe and feel that the room presents itself back to us. A typical loft-style home has a lot of defining features that make it different from any other of its home design counterparts. Varying in two designs types: hard lofts and soft lofts, one of which has been built from transforming old industrial buildings or warehouses of the past year, and another that has been created afresh with the concepts of a loft build implemented into the design. Even though these two design types are developed in very distinctively different ways, the features involved in the design are mostly very alike. From original brickwork being left exposed on particular feature walls, if not throughout the build, to piping and wires left uncovered along walls and ceilings, all of this adds to the effect of a great loft-style home. Decorating a loft-style home leaves a lot of avenues for exploring different designs and compositions, with loft-style homes not always following a certain method to its madness. To start with any loft-style, you need to bring it back to basics. From rust-covered rooms to walls panelled in wood – loft-style homes can be an eccentric bunch, and to work with eccentricity, you need to use the materials that’ll best give off such style. Wood is the most popular material to use, as it’s such a versatile textile, being able to be used in design-work, flooring, on the walls or crafted to form furniture. Wood also gives off the feel of the build being industrially made, as it’s production value looks more natural and organic. Implementing metal into your design is also a great idea, whether as decoration or as part of the build. You can truly go right out on the decor that you fancy when it comes to decorating your loft-style home, with one of these being greenery. Adding a dash of greenery through the addition of plants actually works to enhance the overall feel of your home, and with loft-style properties taking a page out of industrial builds, the vision of ‘overgrown’ can play well in making your loft-style home a success (as long as the plants you buy are manageable, that is). If we work from the vibe that loft-style homes normally have high ceilings, there are many plants we could choose from to capitalise on this, including the Satin Pothos – a versatile green and silver plant that purifies the air. Other plant-based ideas include the string of pearls, which hang down like pearls on a delicate chain. Moving on from plant-based enhancements to a more ‘brighter’ idea, decorative lights are up next. Adding a jazzy or neon-like sign to your home, to either be attached to a feature wall or rested upon a desktop surface won’t only brighten up a place, but will add to that a dash of modernism and mould the vibe of which you’d hope for from a loft-style home. A light chain, also known sometimes as ‘fairy lights’ may also be appropriate, if it suits the theme of the room you’re set to decorate. Framing your walls with artwork such as a painting or a graphic piece is one way in which you can add to the decor of your home. Whether it’s through something you’ve created yourself, or by exploring the massive swaths of artwork available both online and offline, through the likes of local vintage antique stores. There are many additions that can be added to your home to ensure the greatest loft-style build. Starting with the basics, chairs within a loft-style build normally revolve around plushy beanbags and seats that are closer to the floor but this can also include the likes of divans, chesterfield sofas and tuxedos. Tuxedo sofas in particular, that offer arms the same height as the back and a very rigid design are a perfect example of a sofa that defines modernism and is seen a lot within loft-style builds. Your home will also need a table and chairs as a multi-purpose furniture set that can be used to eat meals upon, to be a place that you can go to for focus on written work whilst also being a meeting place for within your home. As loft-style builds are very bespoke design-wise, not all table and chair sets may be best applicable. Best working designs include wooden tables or wooden surfaces with a brick base below. Great examples that may work within the build include the Hayley Small Kitchen Table and Chairs, this table featuring a slightly smaller than usual table and two chairs is perfectly made to fit into any space-conscious home designs whilst still looking bright with its natural wood finish. For those who like a bit more company, the Corona Breakfast Table and Chairs that can sit 4 is elegantly constructed from solid pine and defined detailing to make this set fit perfectly into your loft-style accommodation. Storage is a major necessity for any home, with our clothes and knick-knacks needing somewhere to be kept that isn’t down the side of, or on the back of the sofa. When it comes to implementing storage devices into a loft-styled home, it can be easy to add storage furniture pieces that just “don’t fit in” into the overall design, thus to keep to the open-plan theme that many loft-styled homes include, you must opt for storage devices that aren’t obtrusive or out of place. Good examples include the Ashvale Urban Wooden 12 Drawer Dresser crafted with a distinctive black steel frame and a distressed wood effect. Featuring 12 drawers, this dresser will be the ultimate storage device for your home. From using the right materials to decorate your American loft-styled home, adding the right greenery, lighting and artwork and implementing the furniture to best correlate with the vibe you’d want to present for loft-based living, we hope that this will help you excel to new heights with your specialised style of living.